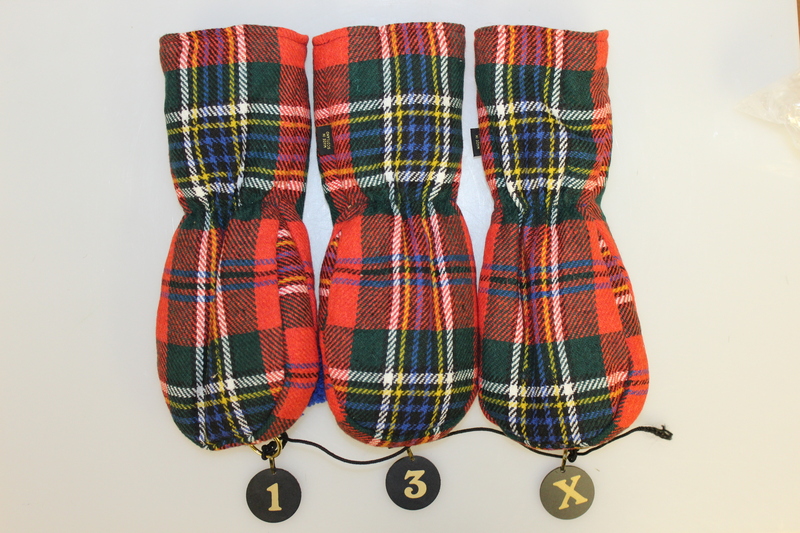 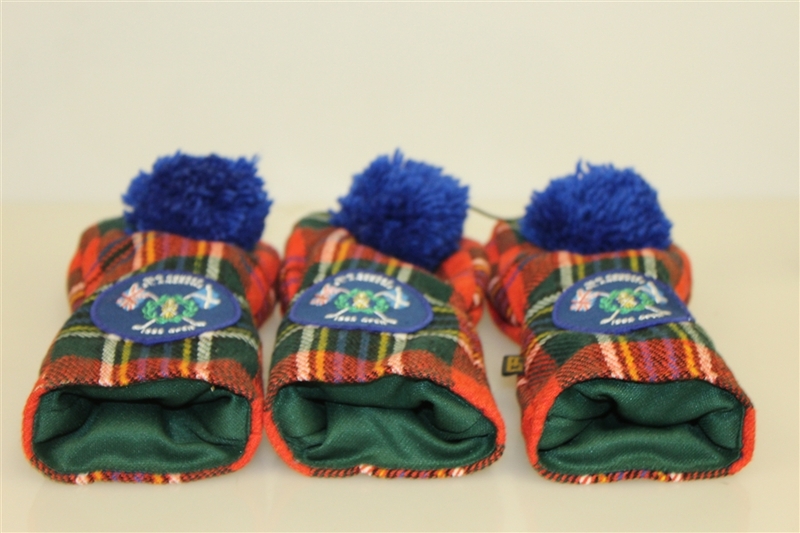 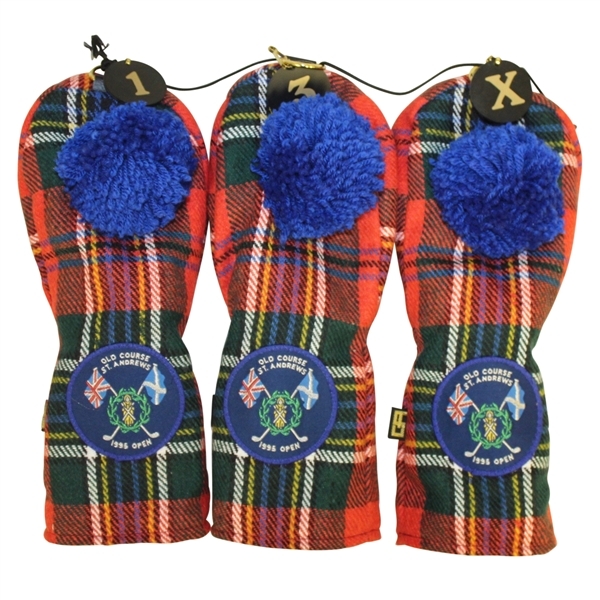 This lot contains three St. Andrews tartan head covers labeled 1,3, and 5. 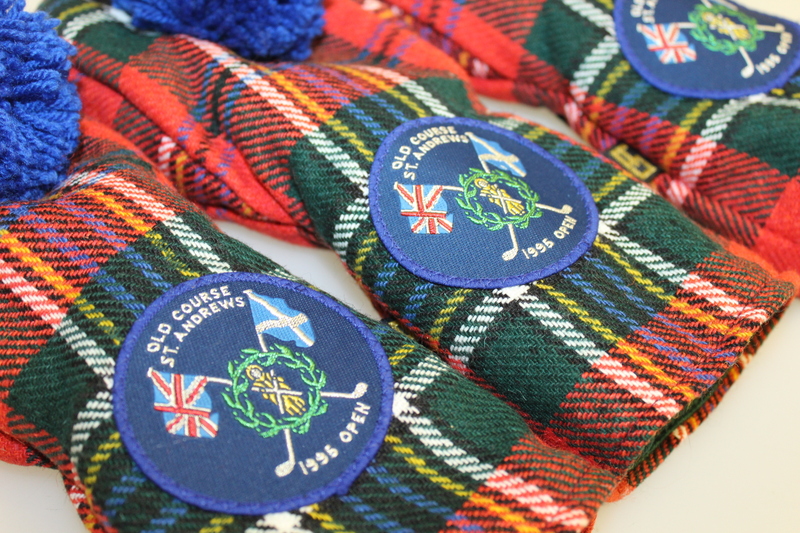 Each head cover contains an "Old Course St. Andrews Old Course 1995 Open" patch. 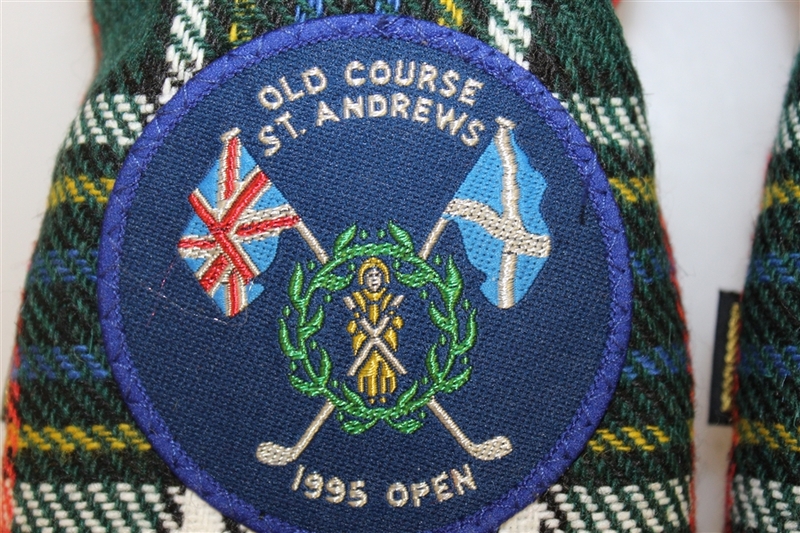 John Daly won his first Open Championship that year.